De Land has risen from its "Deadland" reputation. This town of 30,000 (34,000 when Stetson University's students are in residence) has largely been by-passed since I-95 and I-4 made reaching Orlando and points south easier and faster to reach. When artist Erica Group painted a blank wall visitors and locals loved photographing themselves with it, inspiring the Wings project. 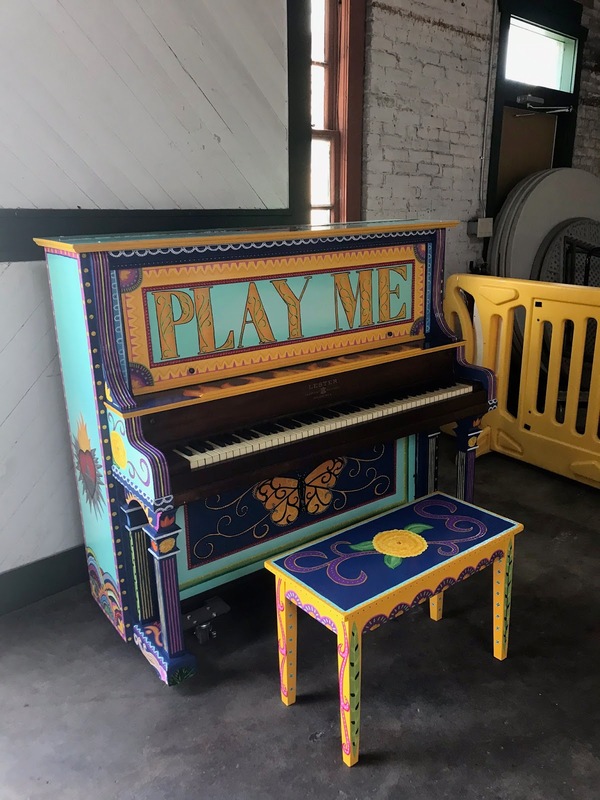 • art projects galore: painted wraps on utility boxes, a sculpture walk sparked by Museum of Art DeLand and a wings project to come. 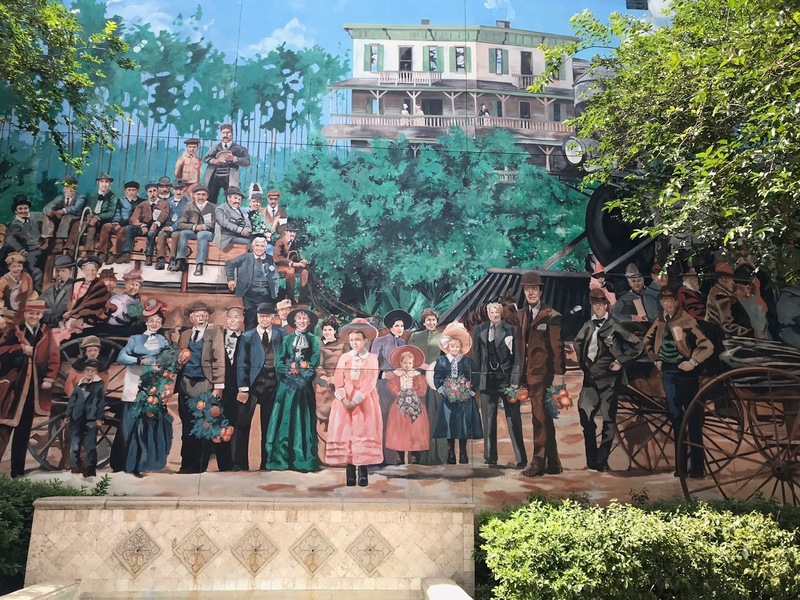 Faces of current residents stand in for the first snowbirds to vacation in DeLand based on an 1890s photograph. • a growing variety or restaurants downtown with cuisines from three continents (Thai, Latin Fusion, Italian, American). Breweries, bakeries, candy, doughnut, coffee and wine shops, too. Even the alleys are interesting. A sense of humor also pokes out. 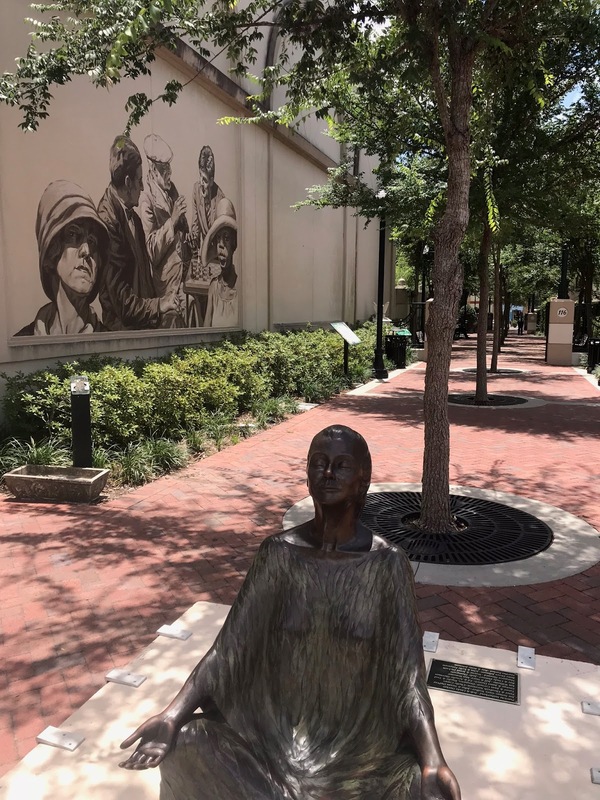 DeLand has a number of firsts to claim. It had one of the first electrified house in the country, the first power plant in Florida, the first electric light power and ice company in the state, the oldest continuously operating printing company in the state. it also lays claim to the Skydiving Capital of the World. 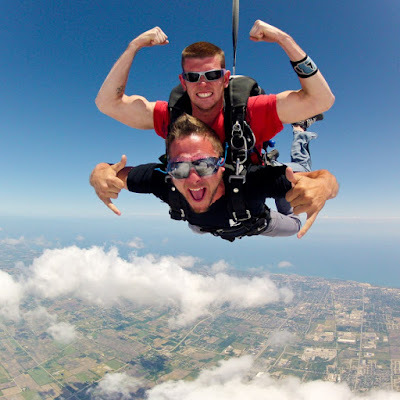 Here is where the tandem skydive was conceived and developed as well as the Accelerated Freefall Program that teaches beginners to be skydivers at Skydive DeLand. 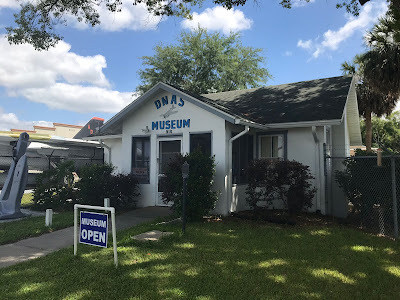 Across the street is the Naval Air Station Museum. Founded in 1995 on the site of the WWII DeLand Naval Air Station and dedicated to the sacrifices and valor of the men and women who worked there, it honors all veterans. 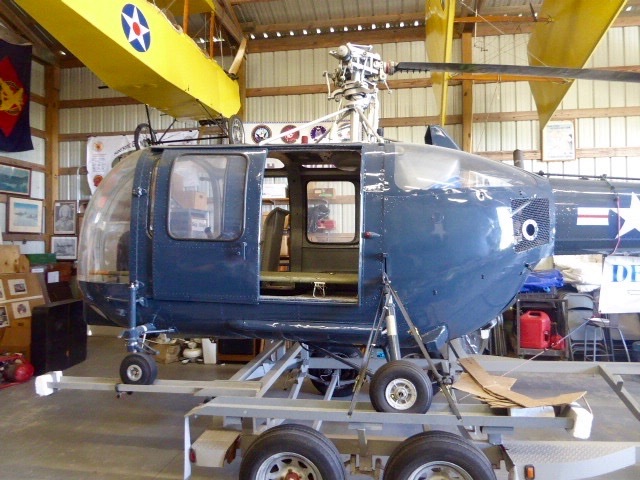 Restoration in progress of a Vietnam era medical helicopter. Developed and run by volunteers, it includes everything from a pilot's license signed by Orville Wright to restored and being restored planes, a Vietnam era PT boat and a Korean era jeep. Even a wedding photograph of Al Capone's nephew, the white sheep of the family. Everything comes with a fascinating story that dedicated volunteers are eager to tell. In a very short time visitors realize there is a spirit of community here. Newcomers have become part of the town. Young entrepreneurs are welcomed by customers open to new ideas. It's not a can-do attitude, rather a we-are-doing-it pride. About those state parks. I visited two. 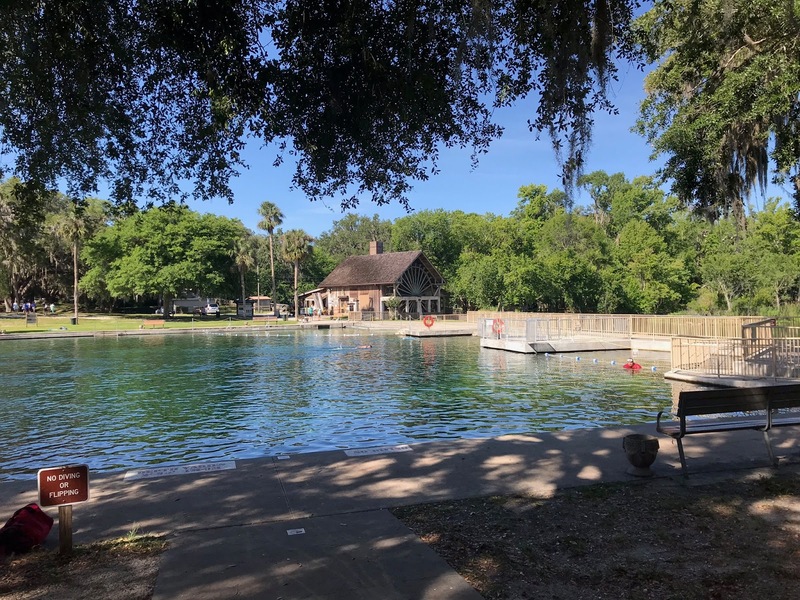 De Leon Springs State Park, six miles away, features a large, spring-fed "swimming hole," rental canoes, kayaks and pedalboats, a boat ramp and dock. 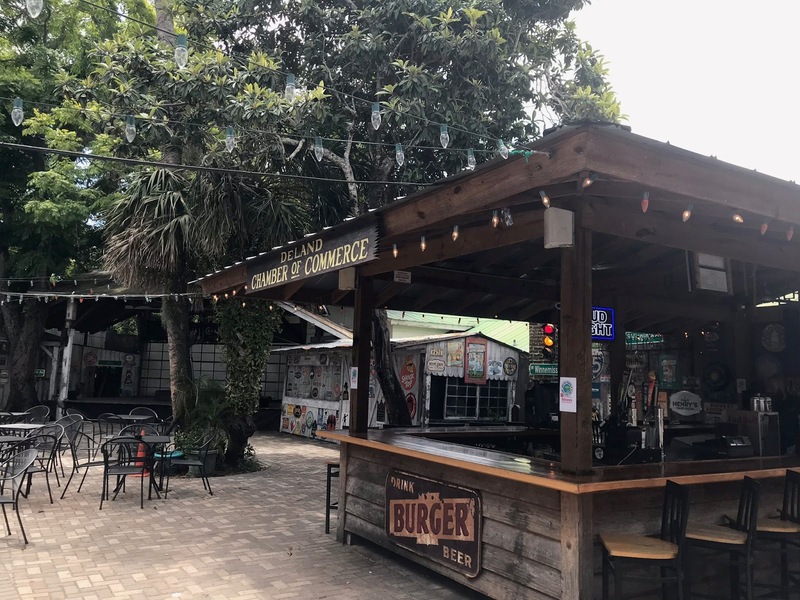 However, even those immune to the pleasures of nature will like the Old Spanish Sugar Mill Grill and Griddle House. 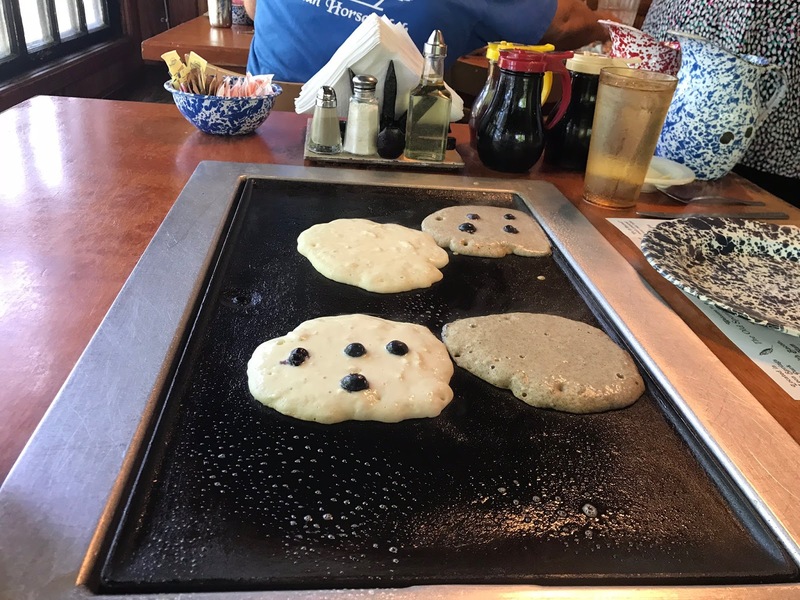 You and your group make and customize your own pancakes Early American style with unbleached flour or the house's five stone-ground flours. Order any toppings you want and in no time pitchers of batter, bowls of fruit and syrups arrive. Wait staff ready the griddle that runs the length of the table and you are cookin'. It's fun so arrive early; everyone else thinks so, too. The Blue Spring of Blue Spring State Park. 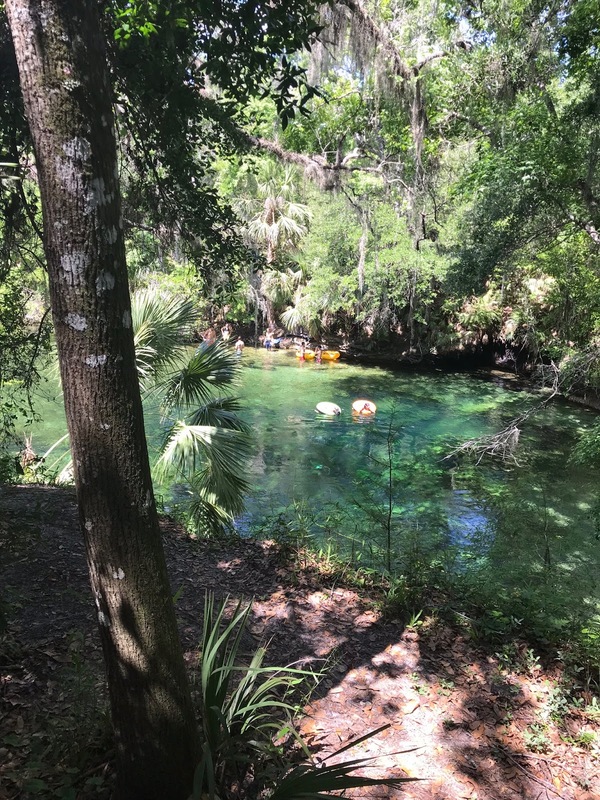 Six miles in the other direction from DeLand is Orange City and Blue Spring State Park. 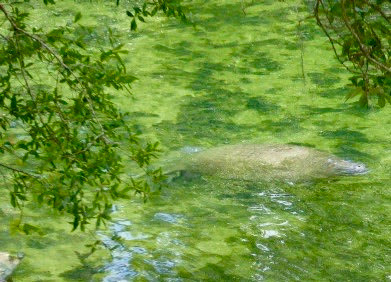 This is a favorite of manatees and their fans. According to Park Services Specialist Darrell Thomas, the lovable mammals broke records for attendance last year when 488 gathered here for the winter. During peak time you can check for yourself on the manatv.org. A boardwalk makes it easy to get to the spring. We spotted one stay-at-home manatee. Both parks are extremely popular and often hit their maximum capacity, so plan to arrive early in the day. Want to let someone else handle the water craft? 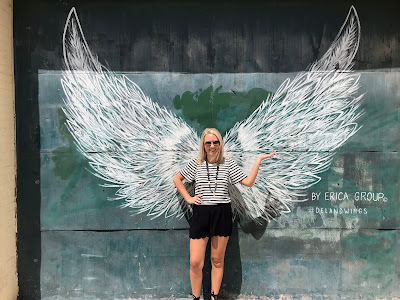 The best river tour I've ever taken was with St. Johns River Eco Tour. 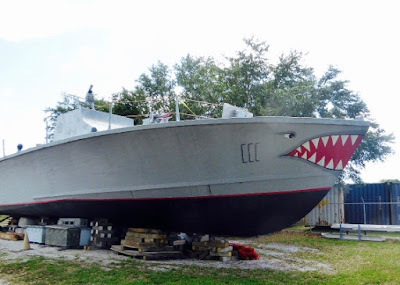 Based at Highbanks Marina in DeBary, 12 miles from DeLand, the tours take in the St. Johns, its flora and fauna. Owner Doug Little and captain W.E. Dooley helmed the Naiad. Among a host of other things, we learned three rivers and 300 springs feed the river and that at one time 150 steamboats a month were taking passengers and cargo up and down the river. That all alligators can jump the length of their tails. Juvenile barred owl isn't sure what to do with his fish. 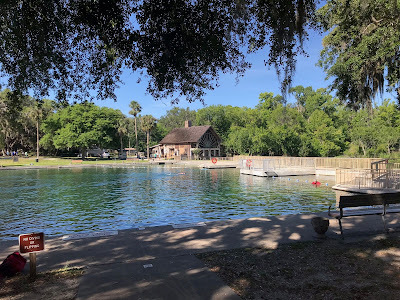 In addition to gators we saw egrets, anhingas, limpkins, purple gallinules, a red shouldered hawk, a swallowtail kite, a female osprey on her nest, red bellied cooters, a pair of barred owls and their offspring. I barely touched the surface of what there is to see and do in West Volusia County and look forward to returning soon, After all, what's not to like about DeLand? Scalloping season runs from July to Sept. 24 this year and the Plantation on Crystal River is offering guided and unguided tours along with accommodations. The unguided package begins at $350. 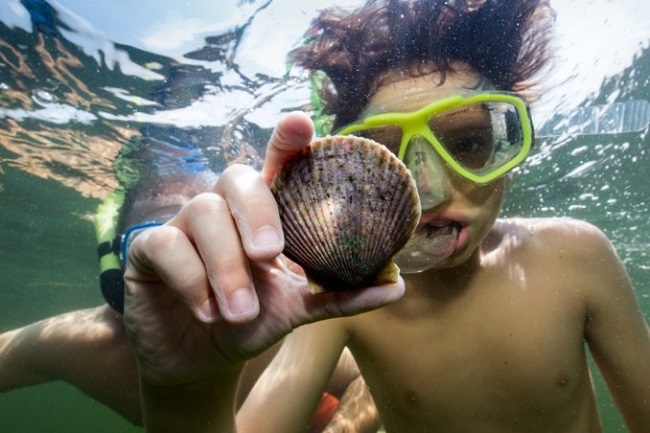 If you choose not to take advantage of a package, you can still have your scallops cooked. For $14.95 the chef at West 82° Bar & Grill will prepare shucked scallops during lunch or dinner in scampi, au gratin, sauteed or Chef's choice and provide two sides. For details, plantationcrystalriver.com or 800-632-6262. 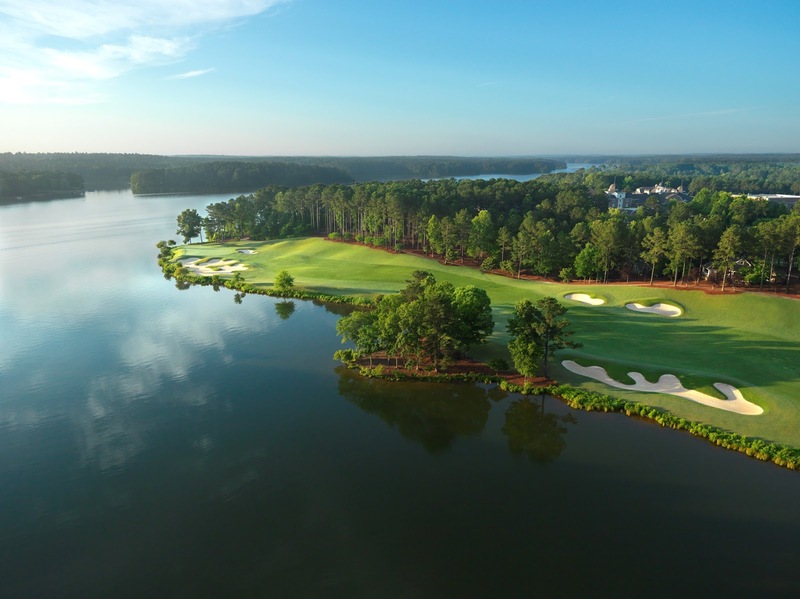 That is what they are calling Golf Advisor Getaway, a buddy trip at Reynolds Lake Oconee in Greensboro, GA, midway between Atlanta and Athens. Oct. 21-24 are the dates when golf buddy foursomes can join travel guru Matt Ginella of Golf Channel for an immersion into luxury golf and sporting lifestyle. Each participant receives three rounds of golf, private group dinner parties, daily breakfast and lunch, with optional experiences at the Reynolds Kingdom of Golf (club fitting, presentation by TaylorMade head of Research Design and Engineering) and the resort's new Sandy Creek Sporting Grounds with sporting clays, shooting stands and archery. That's in addition to access to lake activities, swimming, tennis and fitness facilities. Accommodations range from private rooms at the Ritz-Carlton Reynolds, to shared four-bedroom National Club Cottage or three- or four-bedroom Lake Club condominium. Registration is limited to 72. Prices are $2,649 with condo accommodations, $3,449, rooms at the Ritz-Carlton.